In today’s edition of breaking news that only excites a few of us still obsessed with decades-old products, it appears MS Paint can now recover your lost images. 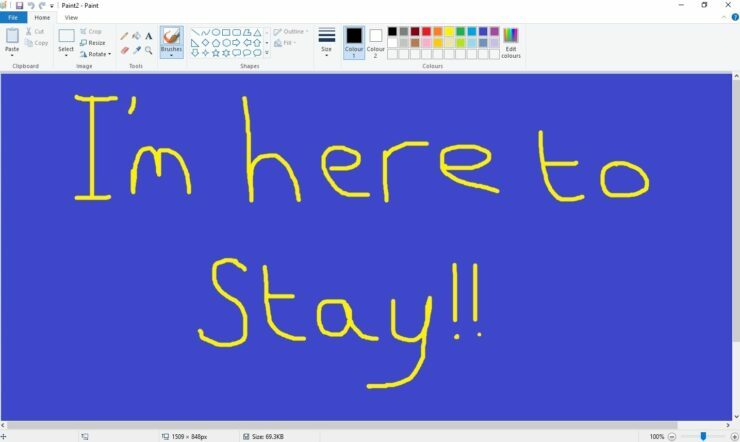 There may be better and more powerful image editing software available now, but there is just something homey about Microsoft Paint that keeps some of us going back to it for basic editing needs. While Microsoft always offered you the ability to recover lost files on MS Word or Excel, unfortunately, the feature was never offered to Microsoft Paint users. Now after being deprecated, it appears the company has updated the software to help you recover lost images after a forced restart. It isn’t immediately clear when was this feature rolled out since everyone believed all the good things are now being limited to Paint 3D (a Microsoft Store app that is replacing Microsoft Paint). Last year, Microsoft announced killing the then 32-year-old Paint, giving it “deprecated” status with the release of Fall Creators Update. After this announcement, however, the web got flooded with major Paint nostalgia pushing the Windows maker to announce that it would instead be made available via Microsoft Store. It appears that fan love did push Microsoft to keep updating MS Paint.